Little Fritters kiln casting molds are fired earthenware molds for glass. Kiln casting is fun and easy! The easiest way to kiln cast with these molds is to simply fill a Little Fritter mold with Bullseye Glass frit or other chunks of glass. Simply prime the Little Fritter mold with glass separator (we use only Hotline Primo Primer in our studio) and fire. When you fire these molds at casting temperatures (about 1500 to 1550 F), the frit will melt quickly, so just let it soak for 20 to 30 minutes, then check to see if more soaking is needed. If you're new to kiln casting it is time to get EXCITED. You can easily make cabinet hardware or jewelry (pendants, bracelets, barrettes, hair combs, etc. ), or you can use Little Fritters in larger scale projects, and make kitchen and bathroom tiles! 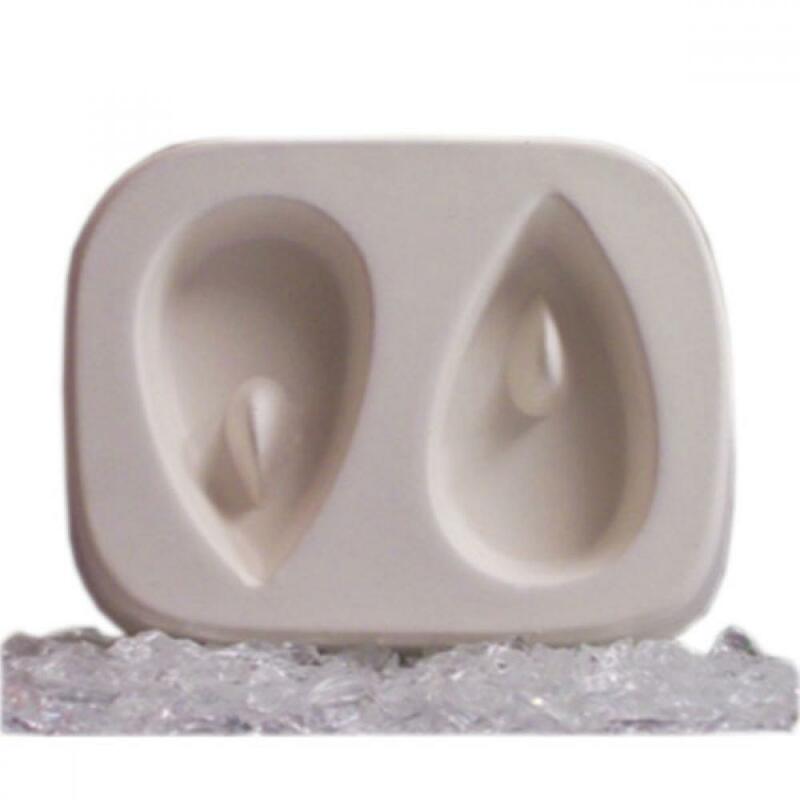 Mold Dimensions: Tears 2" x 1". Two tears per mold. Actual mold measures 3" x 3.5". 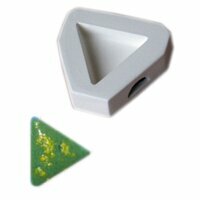 Casting Dimensions: 1" x 2"
Click here for a PDF of fill weights for Creative Paradise Casting molds.